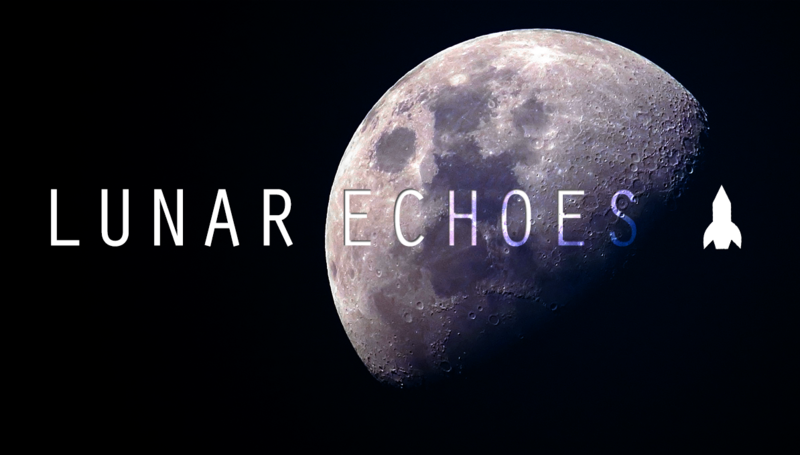 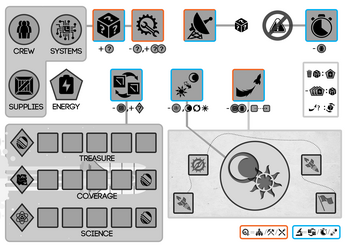 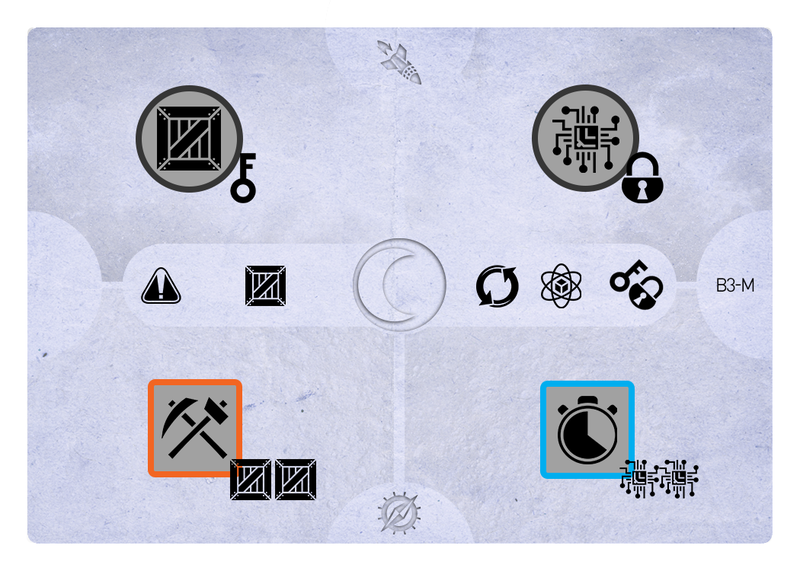 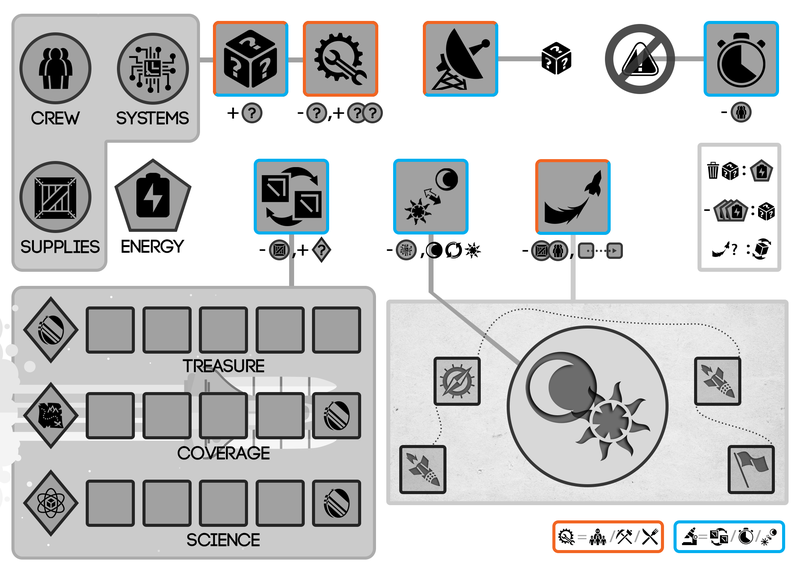 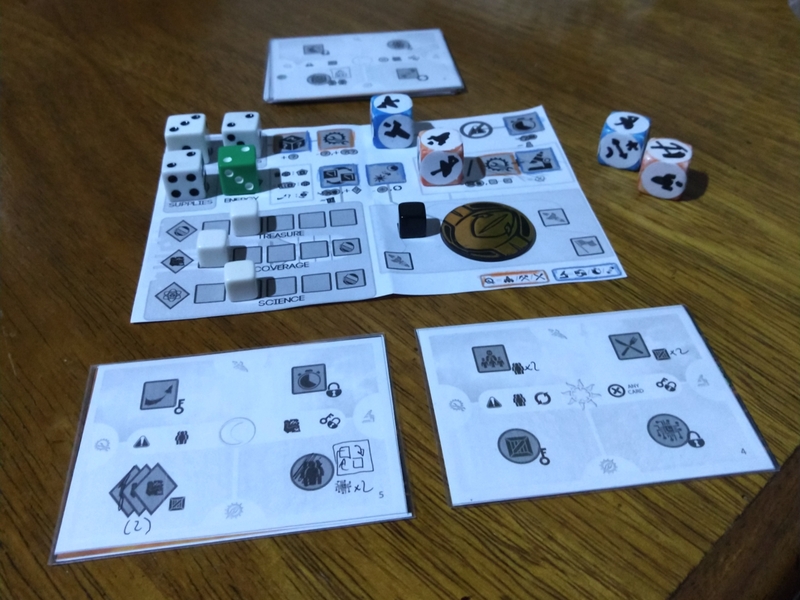 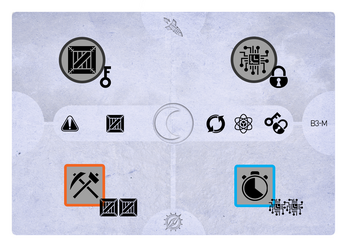 Lunar Echoes is a cooperative board game where two players will manage their resources and overcome obstacles during a space trip to the Moon and back, trying to gather the artifacts buried by a lone voyager many years ago - how many treasures can you find? 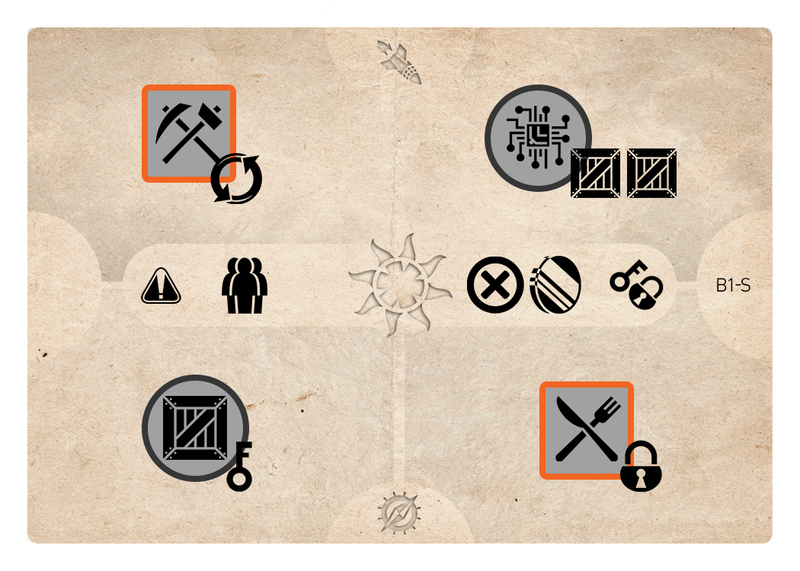 Main mechanics: dice rolling, action drafting (dice placement), resource and risk management. 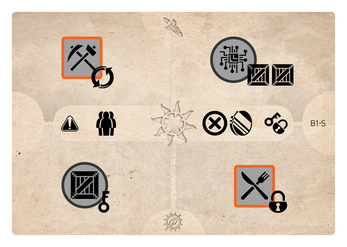 Play time: around 30 minutes.